A new grant from the National Institutes of Health will allow researchers led by the University of Washington to determine whether hormonal contraceptives increase women's risk of acquiring HIV. 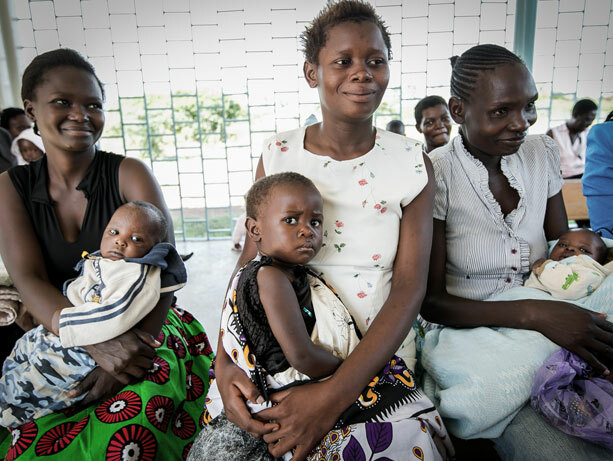 Injectable depo-medroxyprogesterone acetate, also known as the "Depo shot," is the most common birth-control method for women in sub-Saharan Africa, where women disproportionately shoulder the burden of the HIV epidemic. Mixed results have emerged from studies over the last 20 years on the Depo shot and risk of HIV acquisition. Some have indicated a 30 percent to 50 percent increased risk. However, those studies can be biased and lead to unreliable data, said Renee Heffron, a researcher in global health and epidemiology and the grant's primary investigator. Renee Heffron is the grant's primary investigator. “These prior studies have all been observational, meaning that women chose their contraceptive method themselves,” Heffron said. Women who choose their own contraception may reduce their condom use, raising their HIV risk, she said. The $3.5 million grant is new funding for the Evidence for Contraceptive Options and HIV Outcomes (ECHO) trial, which is tracking 7,800 participants in sub-Saharan Africa through a randomized distribution of three methods: a copper IUD, the Depo injection and the Jadelle implant. With this additional funding, ECHO will begin to measure biological markers periodically over the three-year trial period associated with the Depo shot. These markers include bacterial changes, inflammation, increased HIV target cells and mucosa to identify differences between women using the different contraceptives. To minimize study bias, women who voluntarily sign up to participate in ECHO are assigned to one of the three contraceptive methods. Since all women in the trial want to prevent pregnancy, the results will allow researchers to suggest an alternative, if any method is found to increase HIV risk. In late 2015 ECHO began enrolling voluntary participants at 12 study sites across South Africa, Zambia, Kenya and Swaziland. Results will provide critical insights in the development of new contraceptives, some of which might offer both HIV and pregnancy protection. The World Health Organization (WHO) regularly reviews the evidence on HIV risk and hormonal contraceptives, and as an implementing partner in the trial, it is monitoring the results and data quality. The ECHO consortium includes the University of Washington, FHI 360, the World Health Organization, and the Wits Reproductive Health and HIV Institute.